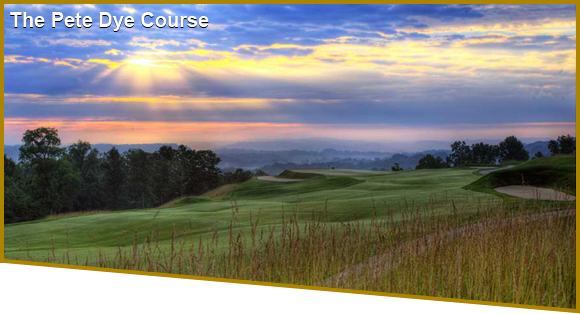 In 2005, Cook Group purchased French Lick Resort and started down the path to restore the historic property, and it was agreed that golf would play an important role in the overall success of the resort. To not only establish French Lick Resort as a true destination and historic property, but also as a world-class golf destination, an expansion of the existing golf operation was a must. Members of Cook Group began to weigh their options. It was agreed upon that a second championship golf course needed to be built. The likely site for this new course would be the area between the West Baden Springs Hotel and the French Lick riding stables on the Mt. Airie property. Research began and numerous architectural firms were consulted. Among the candidates were: Fuzzy Zoeller and architect Clyde Johnson, Rick Smith, Arnold Palmer Design, The Jack Nicklaus Corporation, and Schmidt-Curley, the team already on-site restoring the Donald Ross Course at French Lick, the resort’s other championship golf course, and arguably the world’s top architect, Pete Dye, possessor of six of the current top 20 courses in the U.S.
Property visits began as part of the selection process. Pete Dye came to the property in late 2005 and walked the severe terrain of the Mt. Airie property and gave some alarming news. Dye said there was no way to build a golf course on that property due to the severity of the slopes and rugged terrain. However, less than 24 hours later, Dye scheduled a second visit. On that visit, Dye came equipped with a topographical map of the area. He again walked the property and the following day said he intended to “build the course whether they want me to or not.” Considering the passion that Mr. Dye showed for this project, it would have been difficult not to award him the contract for the project he has since called the biggest job he has ever had. Additional pre-construction visits and finally, a drawing of the course on a paper napkin, at the Villager Restaurant over breakfast in the winter of 2005—the start of perhaps one of the greatest modern courses in the world.